Was this one of the best parts of our trip?!? Hands down, YES. 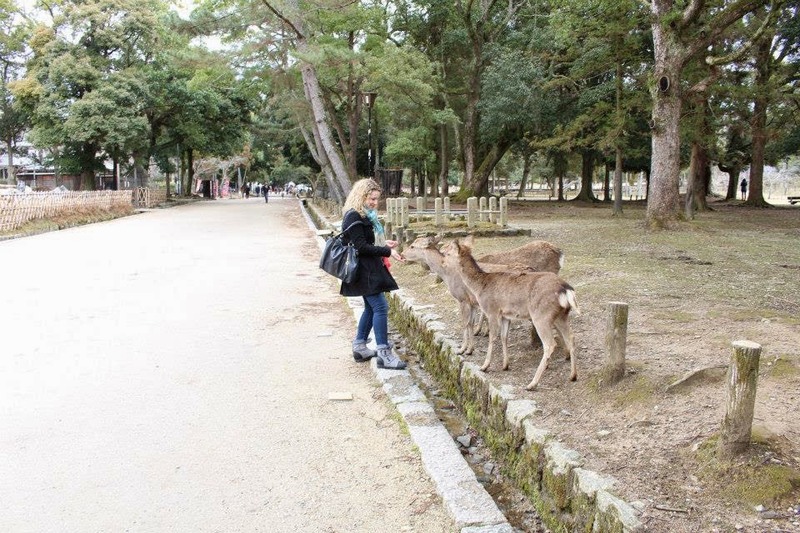 I had heard that Nara is famous for it's deer park, and not much more. 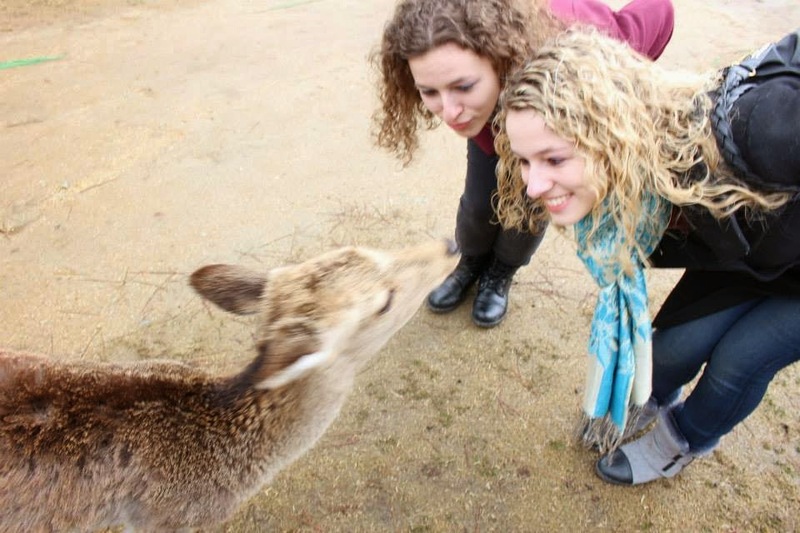 Honestly, we kind of were thinking that we'd just get off the train, pet some deer and be done. 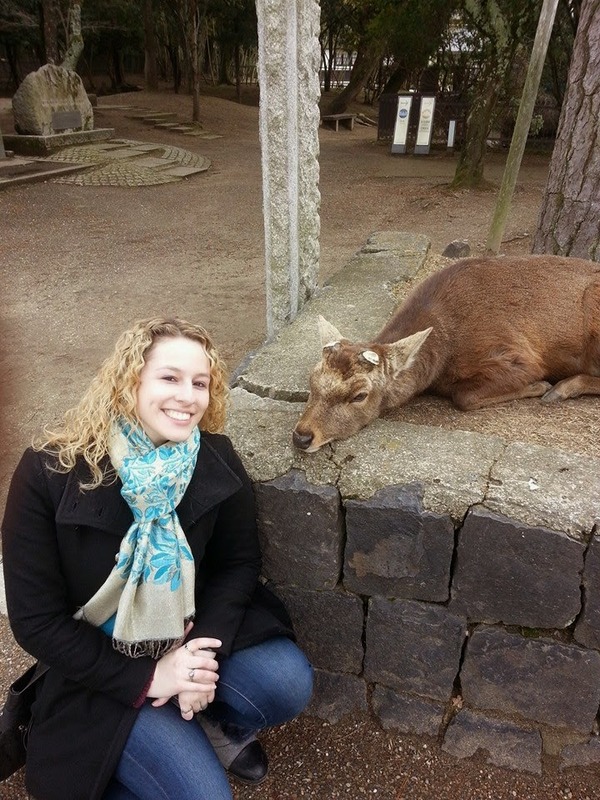 However, Nara is a pretty decent sized place, with lots of temples and shrines to see. And deer. Lots of deer. A helpful lady at information gave us lots of things to do and see. We headed towards the deer park. you could buy crackers to feed the deer. 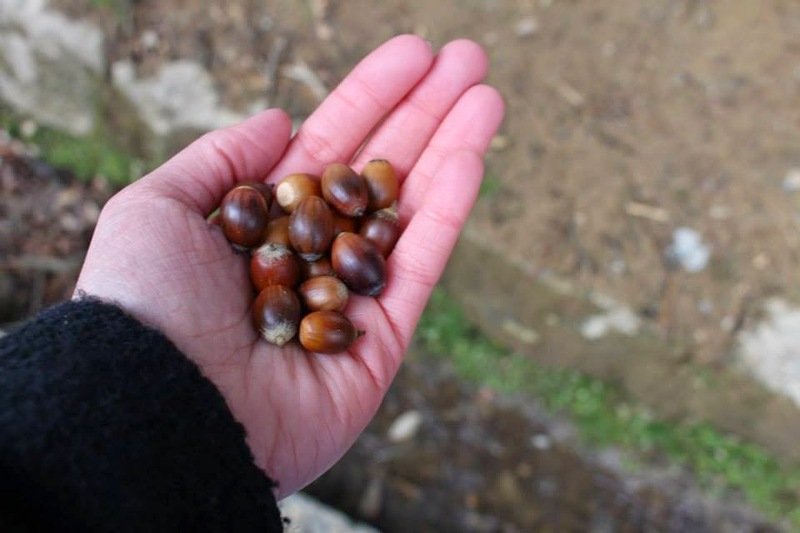 a nice old man stopped to give us acorns to feed to the deer. As Sarah put it, "this feels like a Miyazaki movie..."
The acorns once again made us popular with the deer, who will really only pay attention to you if you have food. Ok, that was just to give you a break from the deer pictures. Back to the deer!! where else can you just chill with hundreds of deer? 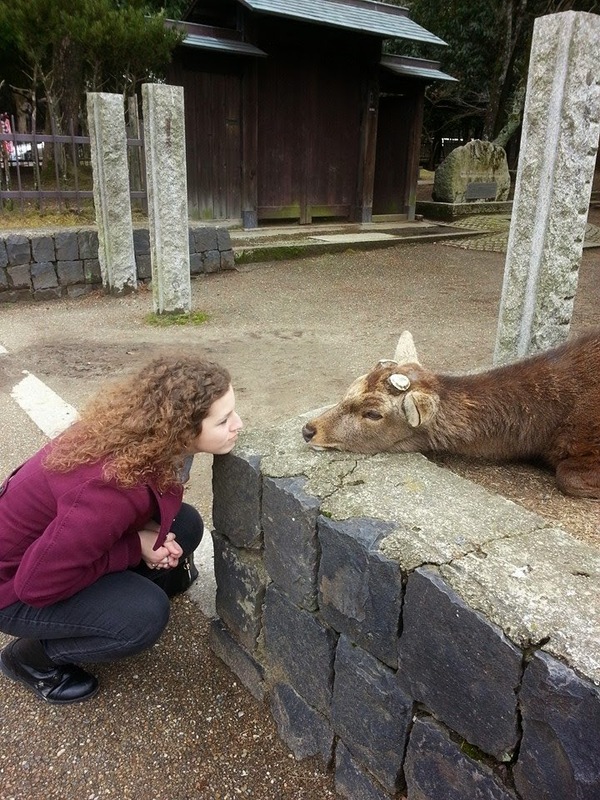 Nara was an awesome, awesome trip. I'm so glad we took the time to go there and to explore it. Even though we thought we wouldn't spend much time there, we ended up staying for quite a few hours. 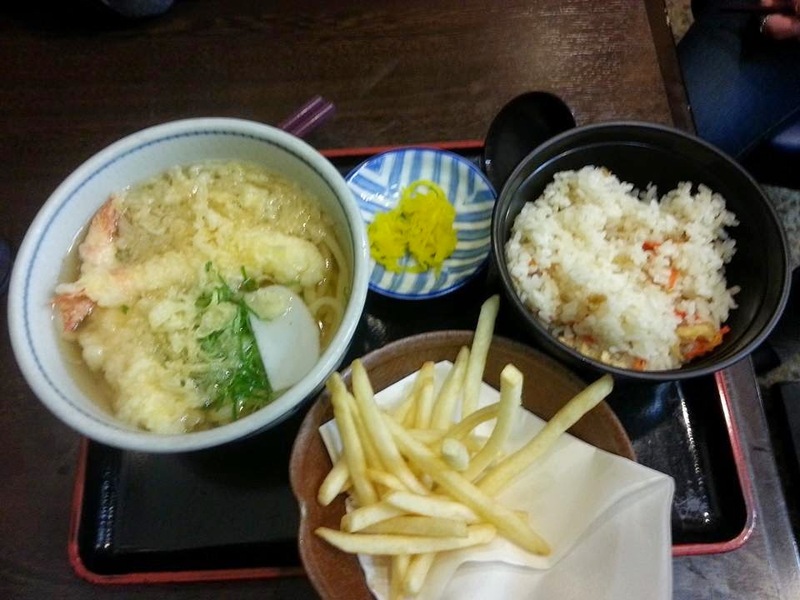 It was well worth the time (it's barely an hour from Osaka and the cost roundtrip was like $10), and if you ever get to Japan, I highly recommend stopping by! 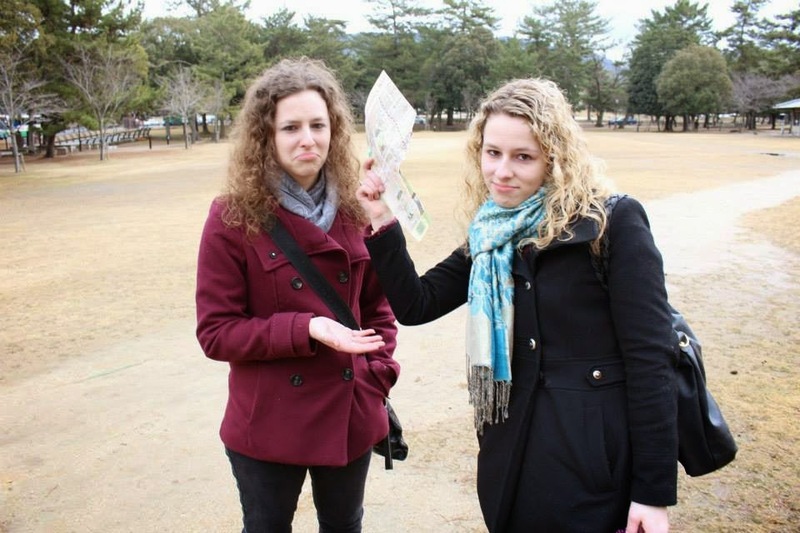 Next, I'll finish up with our adventures in Osaka!!! And because I'm literally always listening to music, here's a change from the Kdrama OSTs and ballads! I recently rediscovered this old Suju song and remembered how much I loved it. Especially since the main stuff is sung by the vocalists, making it a super awesome song with a catchy refrain and adorable dancing!